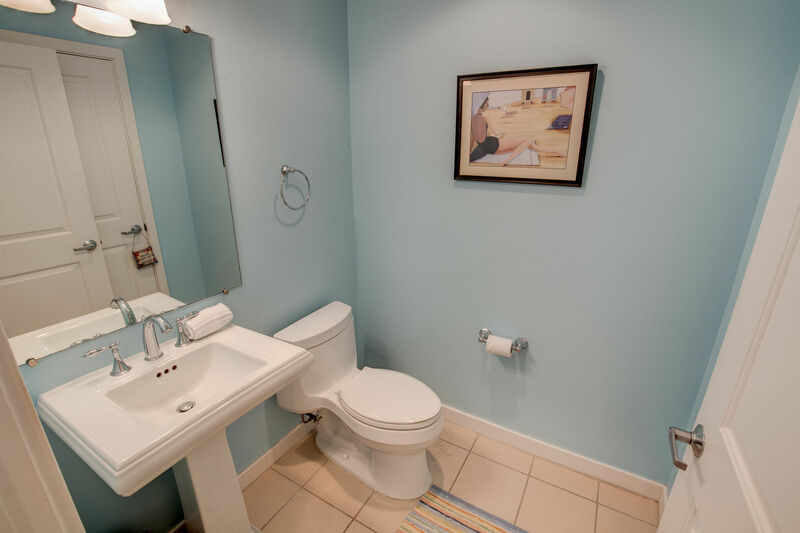 WOW check out that view! 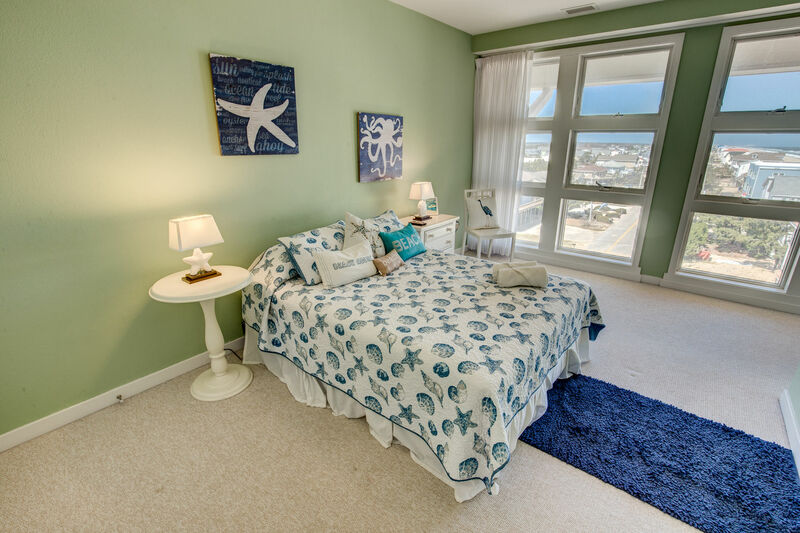 Walk in to this 4th floor Penthouse Suite at Sanctuary at False Cape Condominiums and be amazed! 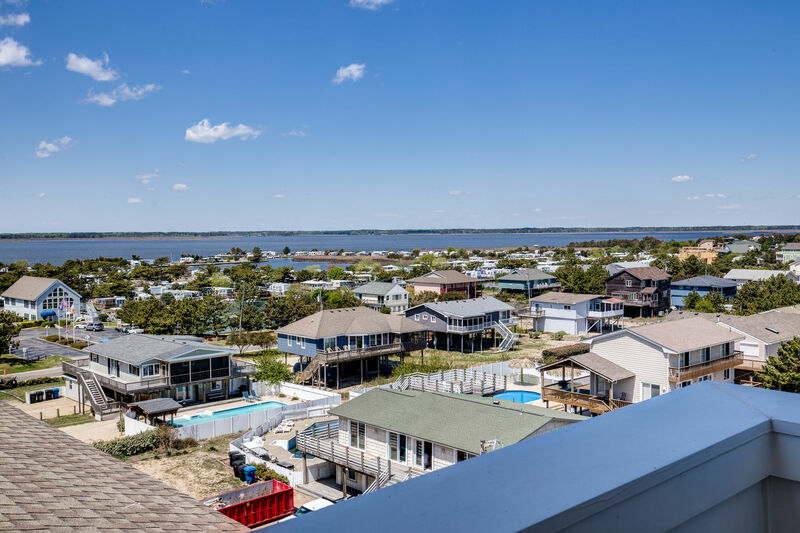 The transition from "not enough time” to "island time” will be almost instantaneous! 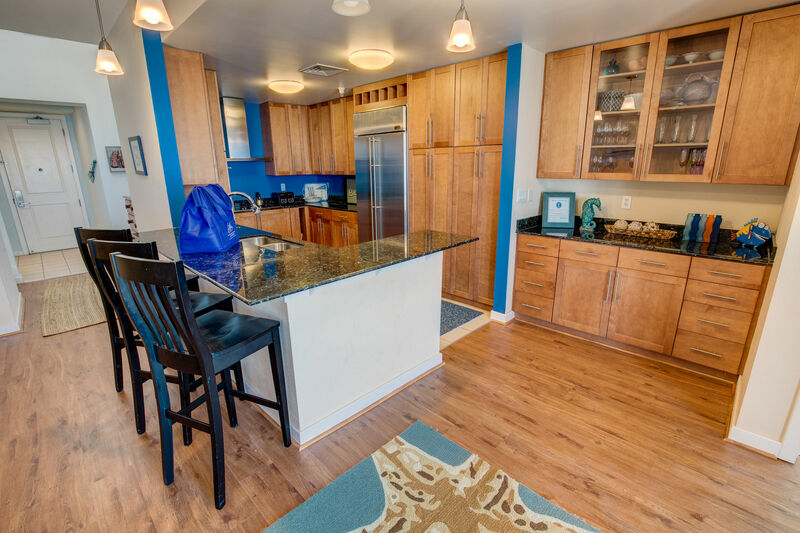 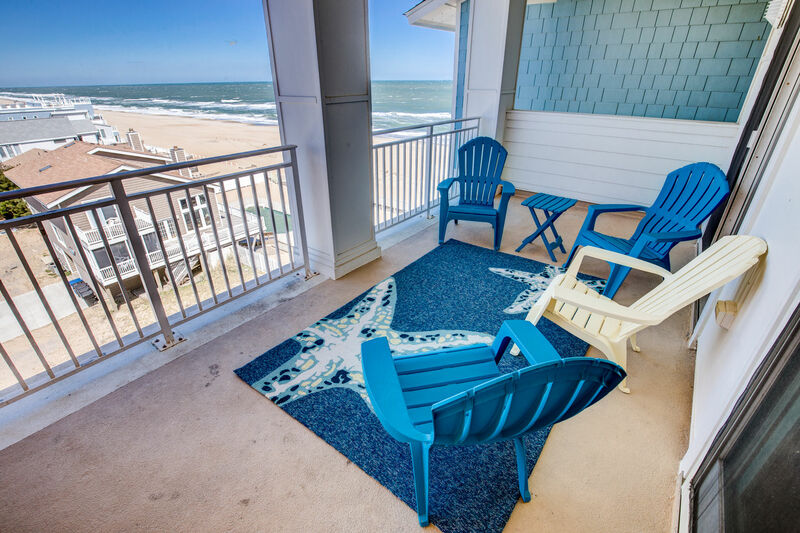 Find yourself surrounded by appealing decor, furnishings, electronics and don’t forget that view! 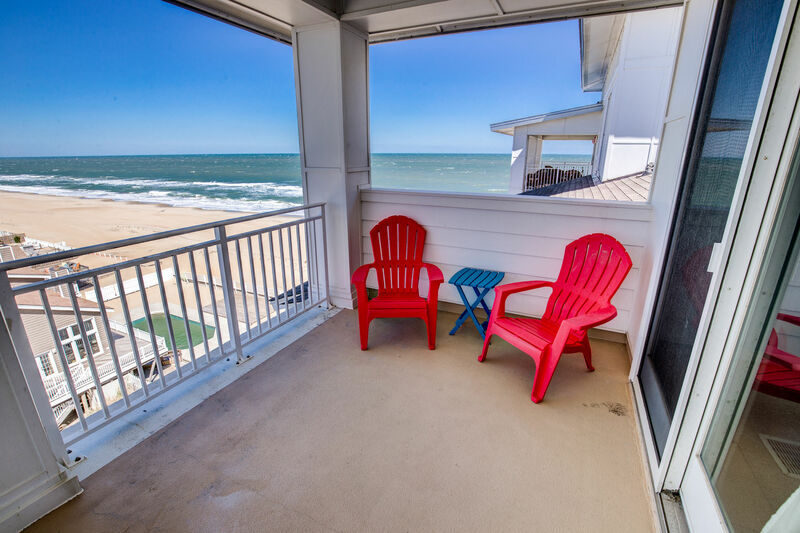 This penthouse is situated on the north side of Sanctuary Condominium complex offering up bay to ocean views from the Great Room, King and Queen masters and of course, the decks on both levels. 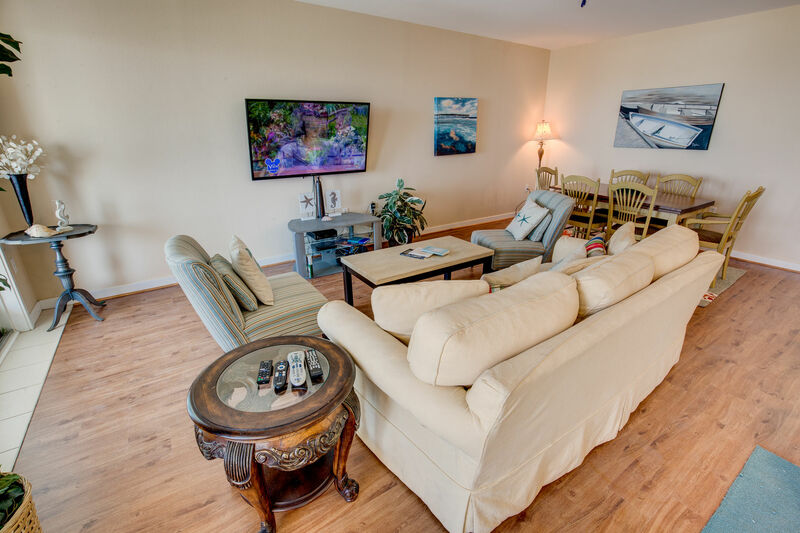 The great room has an LCD TV to watch (when you aren’t on the decks enjoying the view), sleeper sofa for those unexpected extra guests and you will love the kitchen with granite, stainless steel appliances and plenty of cabinet space for entertaining. 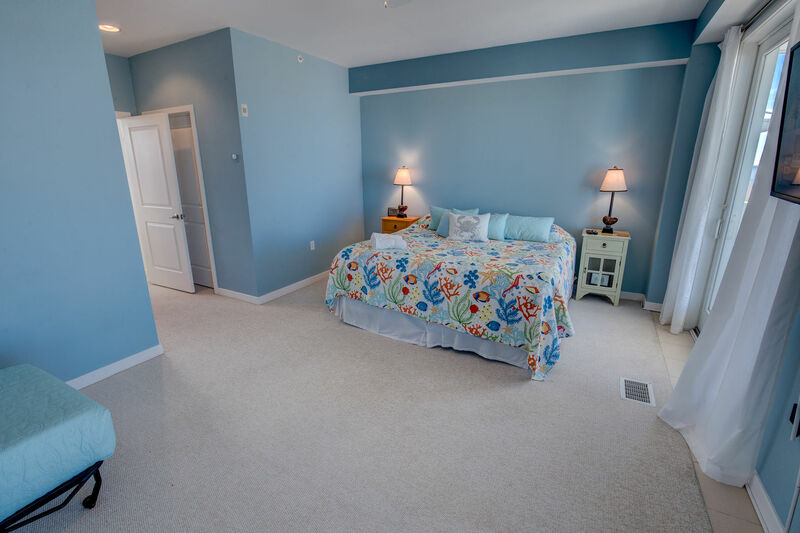 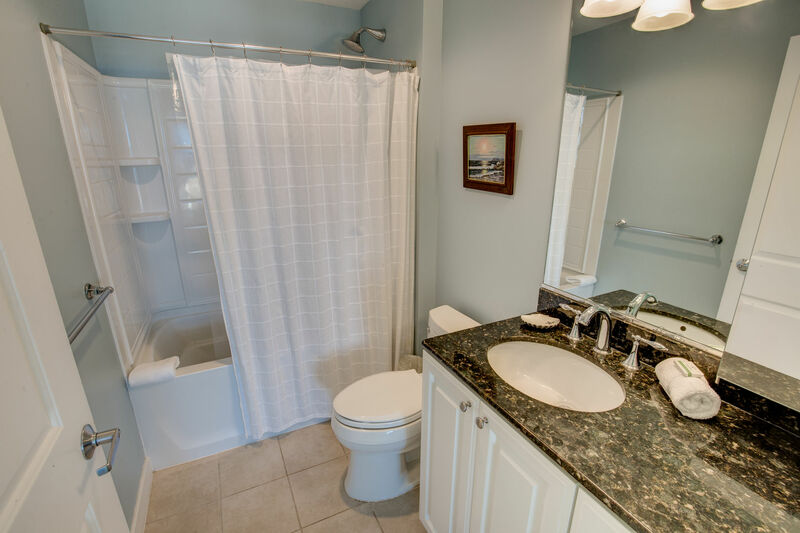 All bedrooms are Master Suites and bathrooms are granite and tile. 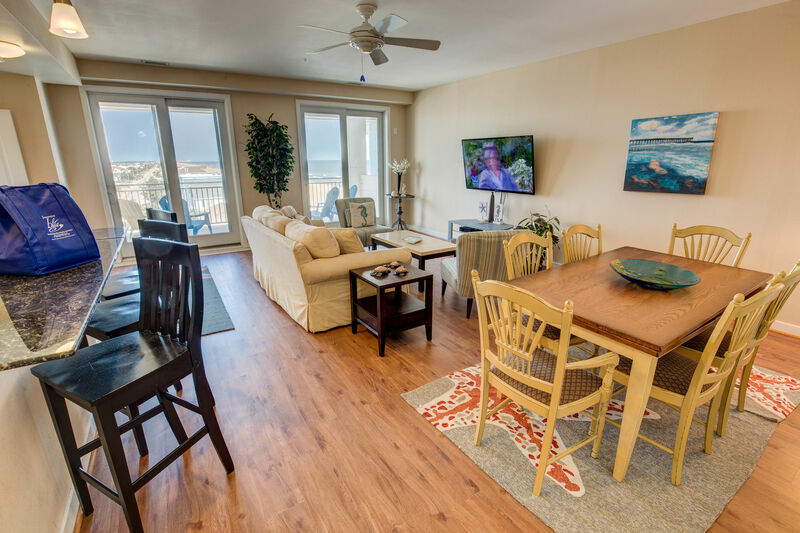 Queen Master off the Great Room has a wall of windows with that great ocean view and private bath. 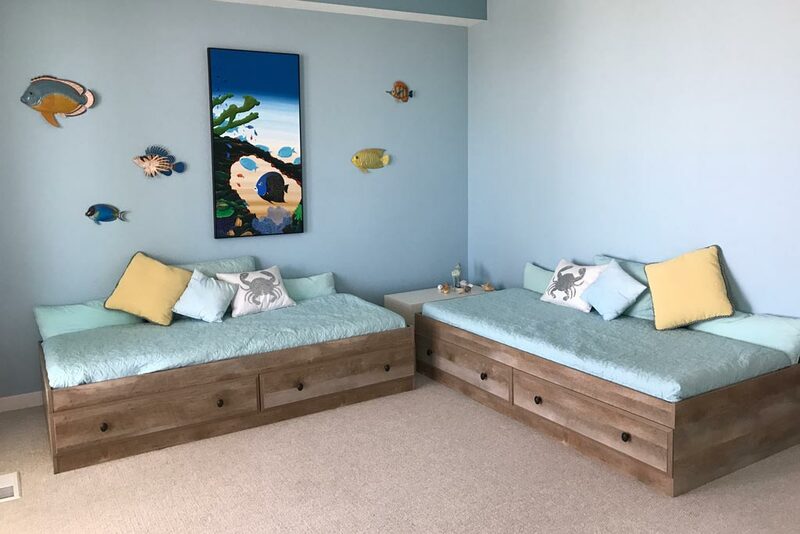 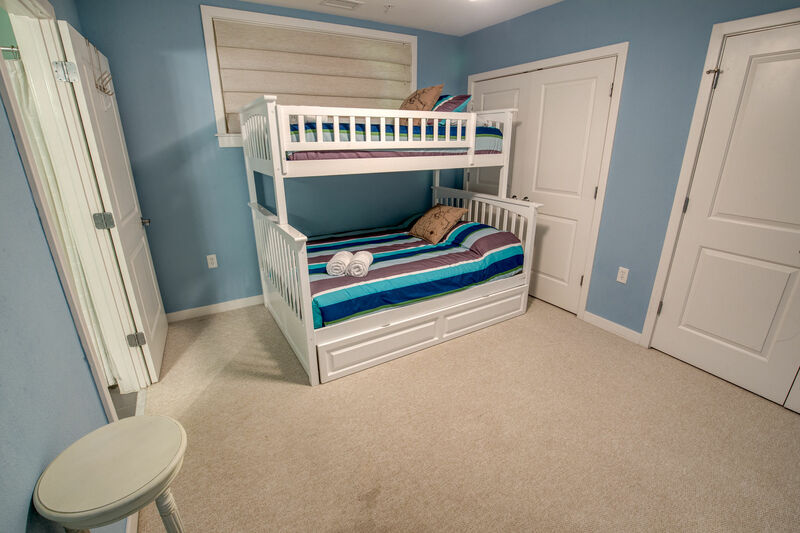 The kids’ Master is cute and comfy, twin over double bunk set with a twin trundle and its own private bath as well! 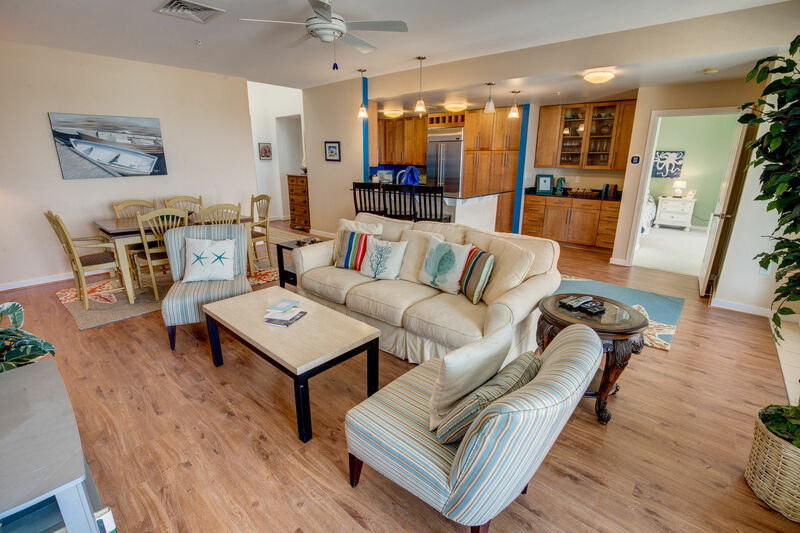 Top King Master has a LCD TV, walk in closet and its own private balcony with views of the ocean and bay. 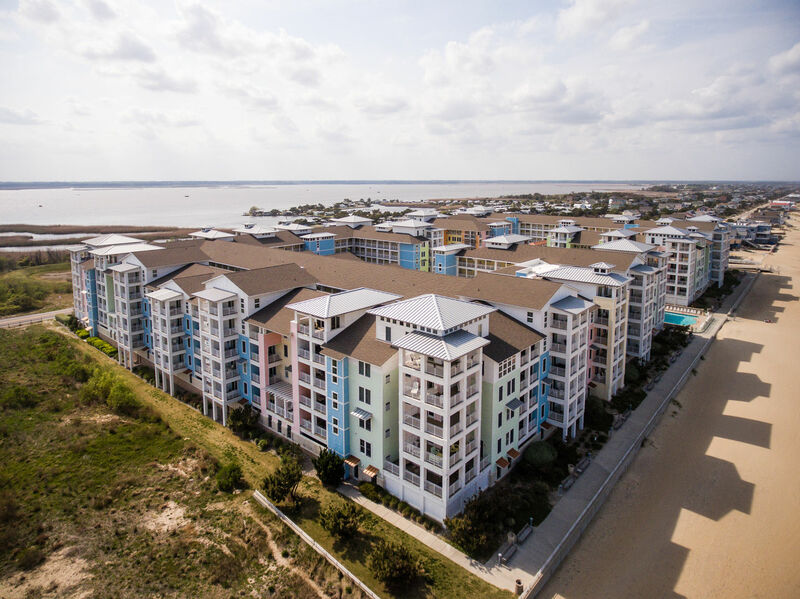 Sanctuary Condos offer three pools including oceanfront pool and cabana grill,one hot tub, 4 elevators with access from the parking garages to your level. 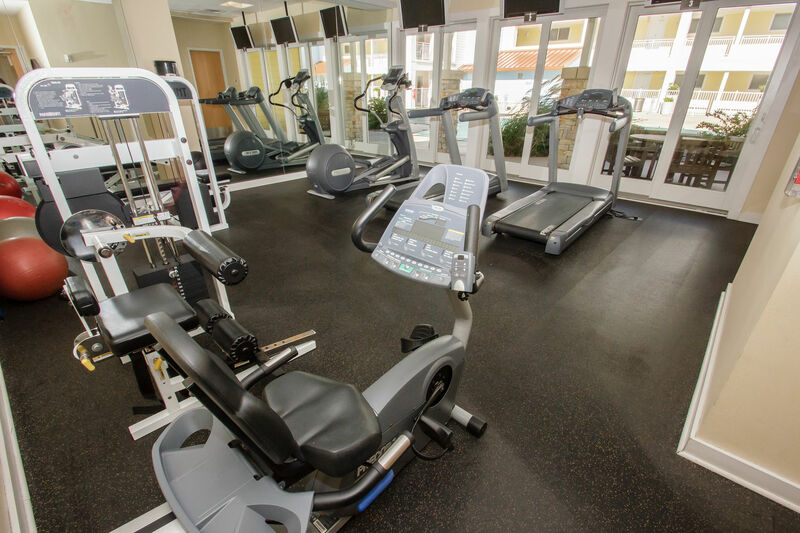 More amenities listed below. 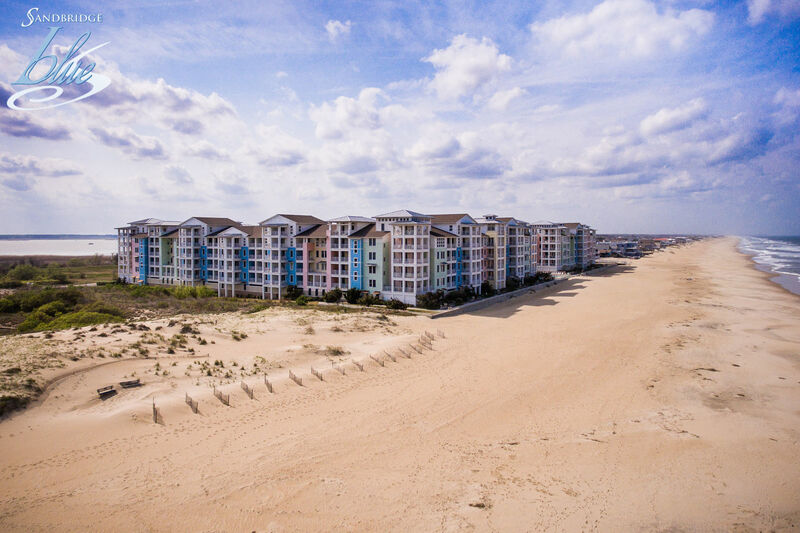 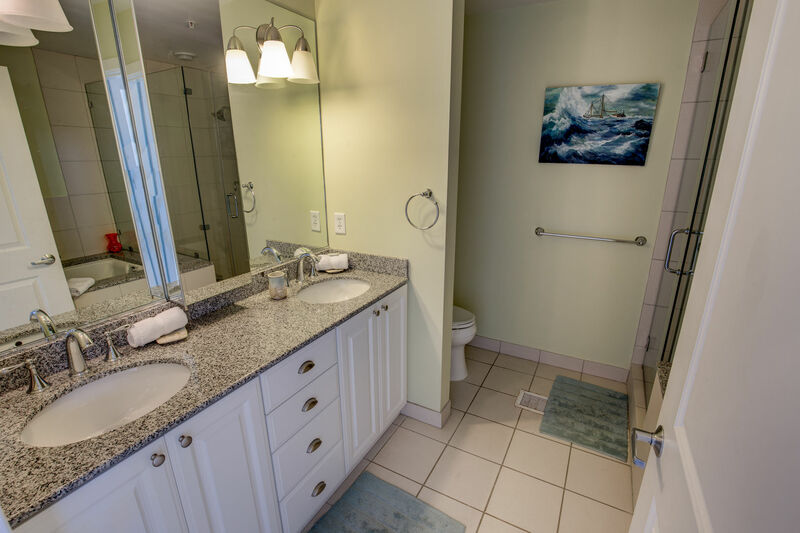 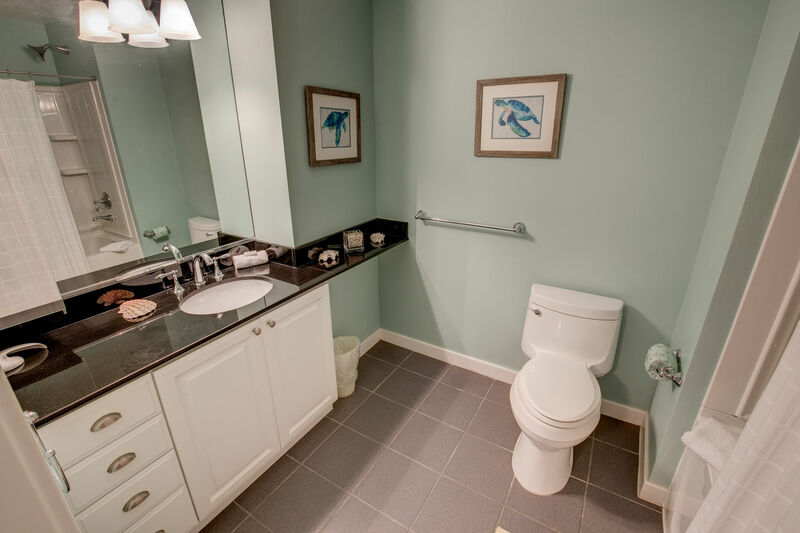 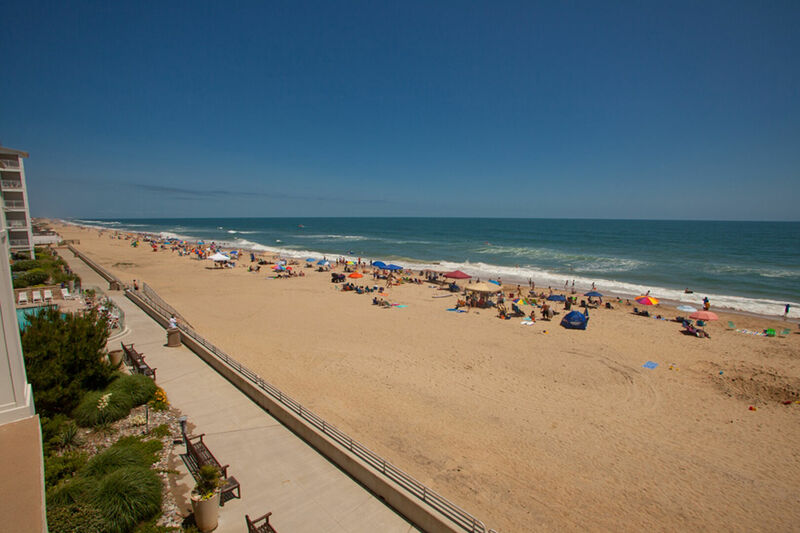 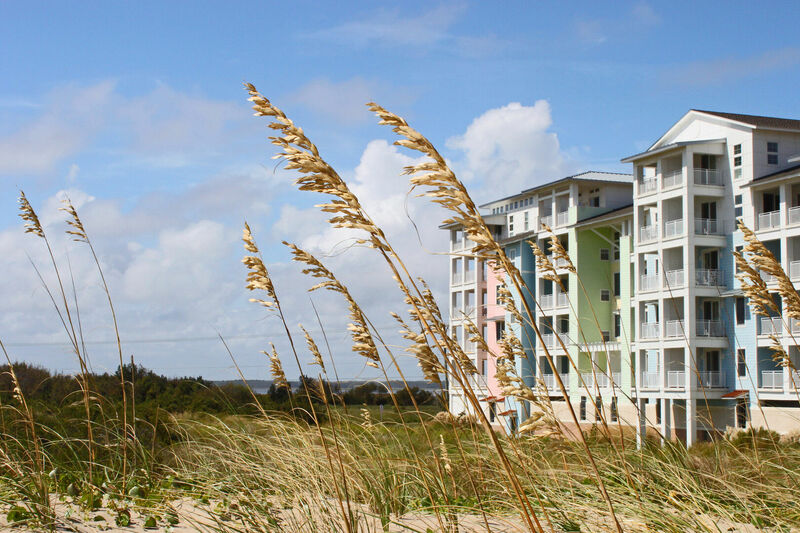 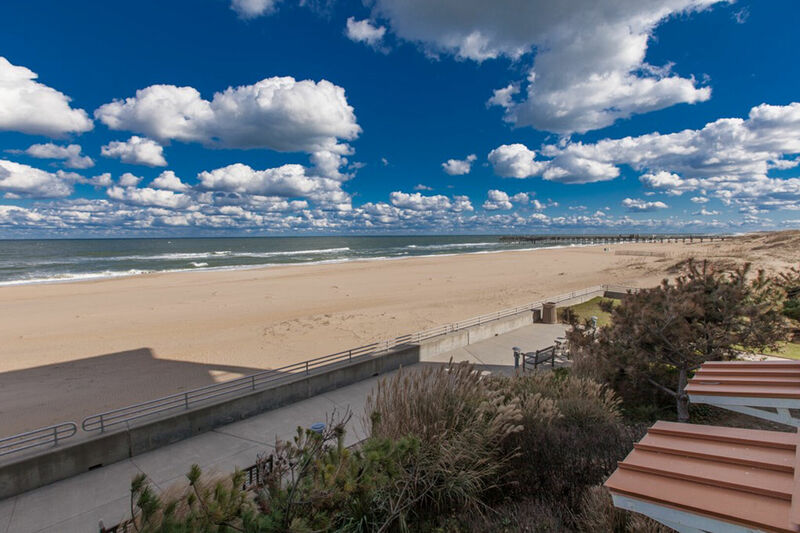 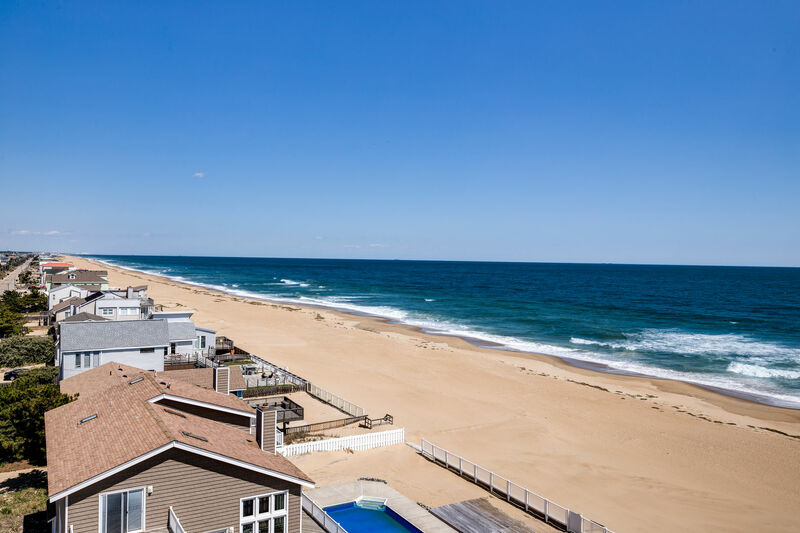 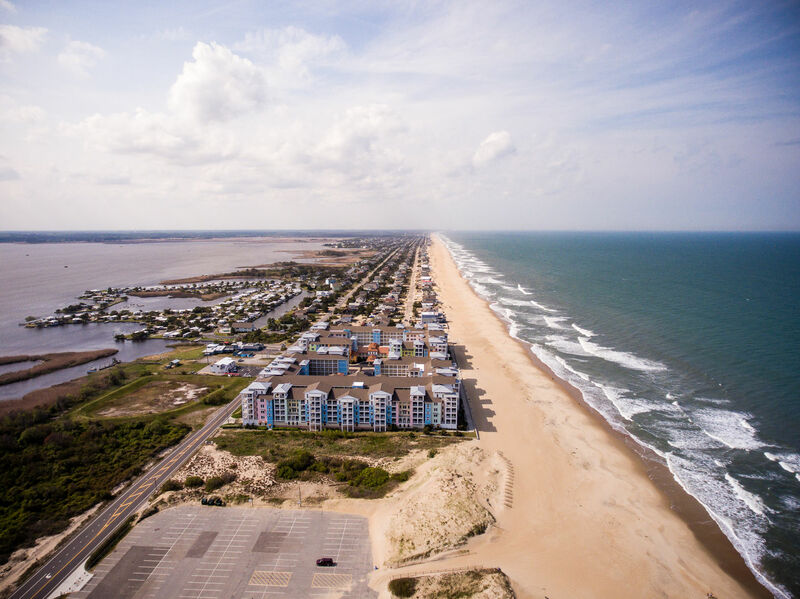 Located at the south end of Sandbridge Beach for quiet walks,the best seat in the house for July fireworks, children’s playground at the pier, and of course all the Virginia Beach action packed activities including the Virginia Aquarium, Ocean Breeze Water Park and the famous Virginia Beach oceanfront boardwalk. 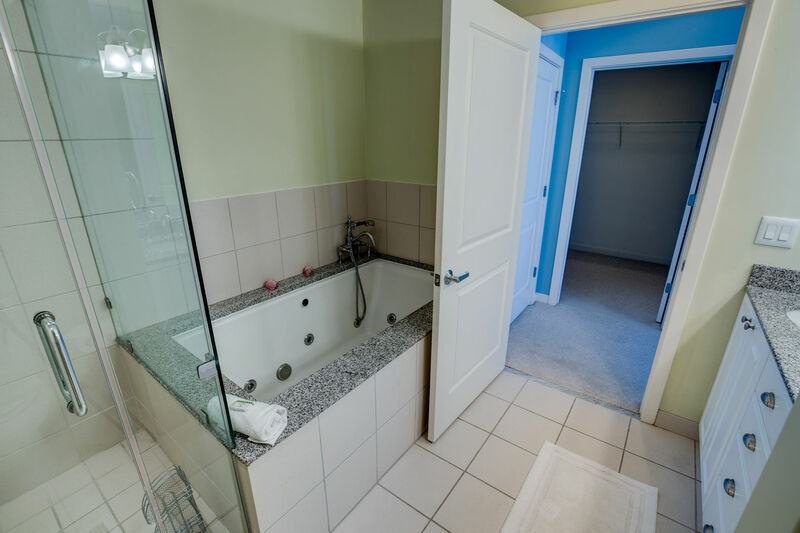 Top-Level: King Master with LCD TV, Private Balcony with Bay to Ocean Views, Walk in Closet, Master bath has Jacuzzi, separate Shower, Double Sink Vanity. 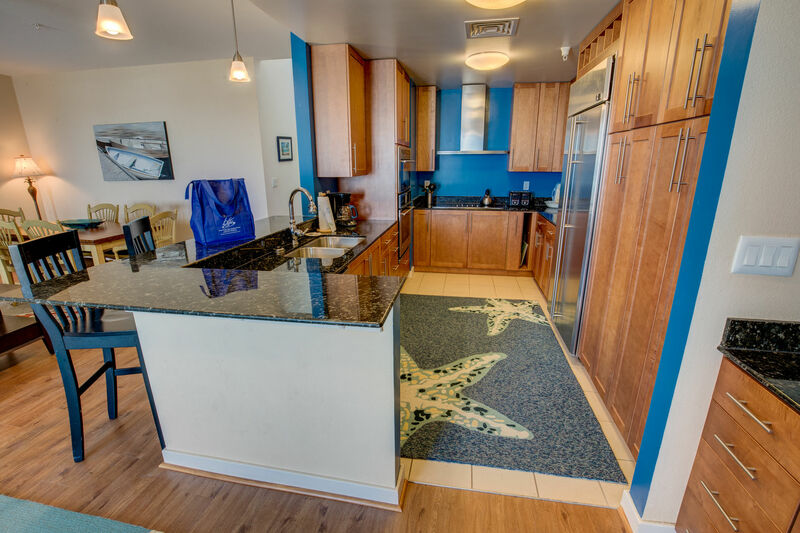 First-Level: Great Room with 60-inch LCD TV (with HD service), DVD, Sleeper sofa, Deck with Bay to Ocean Views, Kitchen with Granite, Stainless Steel Appliances, Bar seats 4, Dining seats 6, Half Bathroom, Laundry with Washer/Dryer, Queen Master with LCD TV; Master with a Duo Bunk/Trundle with TV. 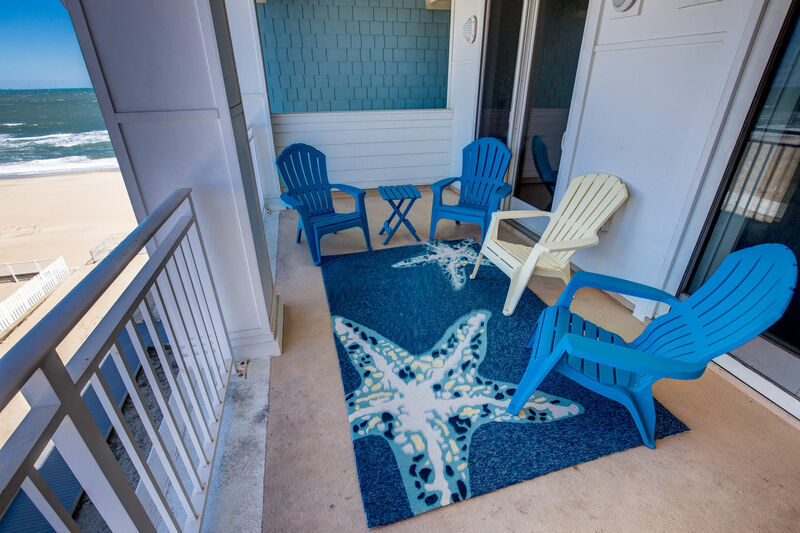 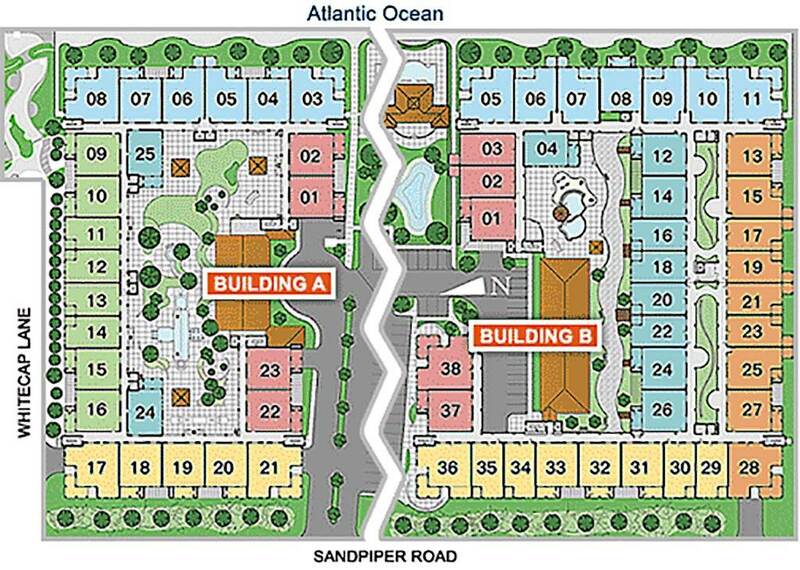 Ground Level: Covered parking with two designated spaces, elevator access and storage locker for beach equipment. 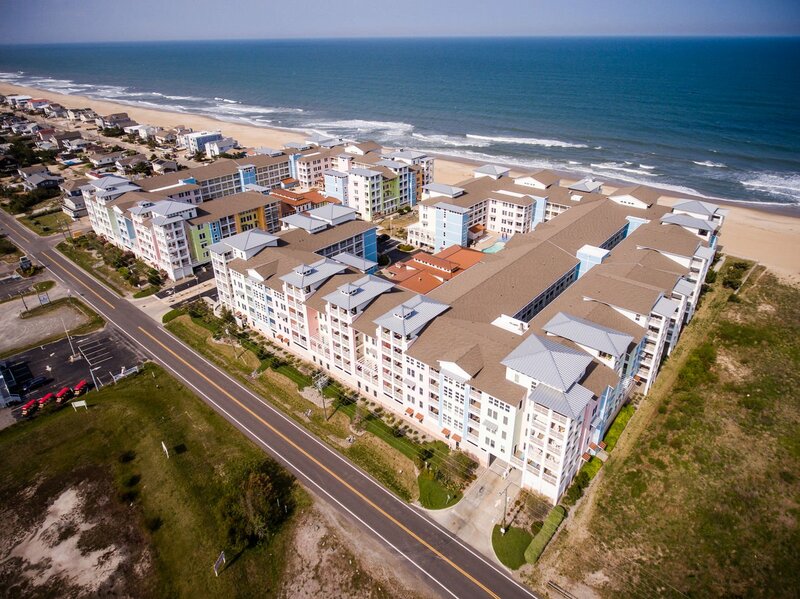 Extras: Wireless Internet Access, DVD player, No Smoking, PETS NOT ALLOWED, Distance to the Beach: 150 ft.
Community Extras: 3 Swimming Pools (Please check with condo pool schedule for opening and closing of condo pools),Oceanfront Cabana Bar and Grill, 2 Fitness Centers, 2 Libraries, 2 Game Rooms, Outdoor Grilling and Picnic Stations,4 Elevators, Covered Parking Garage, Oceanfront Boardwalk.